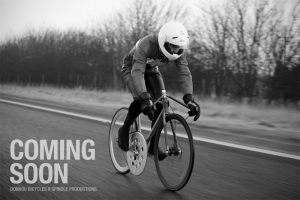 Donhou Bicycles out of England is aiming to make a bike that can hit 100 mph. This is a task that has been accomplished before, however both instances used drafting behind a motor vehicle. 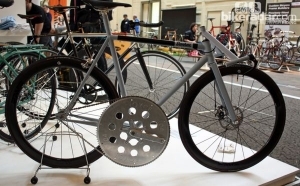 Donhou's current bike hopes to use a massive front sprocket and streamlined design to achieve their goal. If you're not familiar with their designs, they make some sweet bikes worth checking out particularly the city commuters. User 2: Commment > Having done 100+ on a motorcycle, I honestly think I'd be too freaked out by doing 100 on a bicycle! With such slim (bicycle) tires, any significant bump/hole in the road could spell trouble quick!